Go-Kumi is production studio of legendary "Kiniro Mosaic", they did not make me disappointed with this show. Some people do not like slice-of-life-anime because "
essentially nothing happens' and some pepole like it just because of the same reason. Yes nothing big happens in this show, but every little things are essential. The studio know what they are doing and met with expectations. Yes nothing special happens, but this is cute, easy-going, fun to watch kind of Anime. I really like this show. I normal do not like these kind of anime shows. Please make more. I am glad I kept watching. The first five minutes of the espisode, I was like: meh, i don't think i would like this. Then after i was like this is cute. There is no vulgar things in this show. I would watch this again. 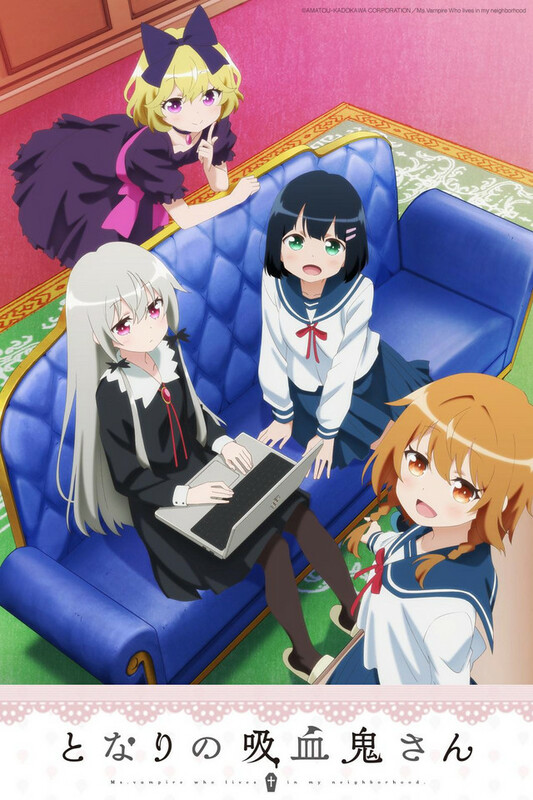 Please make a second season. This was a charming show that I couldn't put down. I wouldn't mind a season 2, but I feel this was a fairly self-contained experience. It's interesting seeing how the vampire has adapted to the modern world. There's a humorously horrifying scene where a friend makes her a blood snow cone and we get a look at the bloody mess surrounding the shaved ice maker and it looks like someone lost a hand or something. One thing that raises a few questions is why after all these years she hasn't come up with a better solution for going out in daylight than a light, white parasol. It doesn't protect her very much. Would having it be black with a veil or something attract too much attention? She could claim she's an albino with dyed hair if anyone asks. Maybe the police stop people who hide their faces that much and that leads to awkwardness or spreads even more rumors.